Backsplashes are more than a kitchen necessity – they’re a fabulous opportunity to add interest and verve to your kitchen! 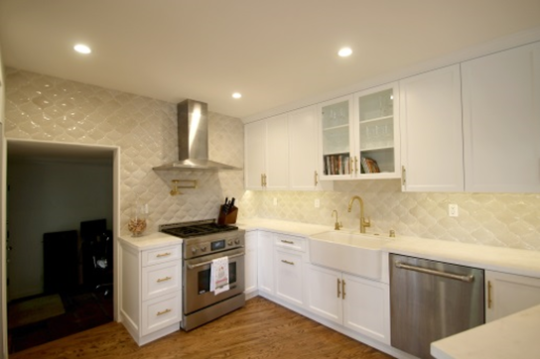 While backsplash trends, like any trends, are always subject to change, the factors to help you choose the right backsplash for you have remained pretty stable. Here are our top 10 tips for choosing the best kitchen backsplash. As with any design project, the first thing to keep in mind is budget. Once you’ve established a budget for the backsplash, you’ll be to make the best decisions for your kitchen – without gouging your wallet. 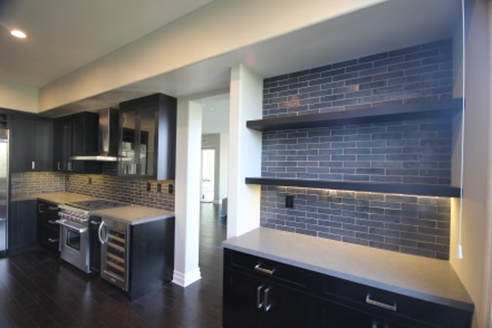 There are so many backsplash materials to choose from – glass, metal, and porcelain are just the tip of the iceberg. Decide whether you’re interested in investing a lot of time in backsplash maintenance; if you’re not, it’s better to stick with more durable materials, such as ceramic and porcelain. In many cases, your kitchen cabinets and countertops will be your backsplash’s best friends. To that end, keep your cabinet colors in mind when choosing your backsplash colors. If your cabinets are azure, emerald green might not be the best backsplash bet. Ah, grout. One of interior design’s unsung heroes. In spite of its humble design standings, grout literally brings your tiles together, and it’s worth investing in a grout that can withstand the love of a busy kitchen. In recent years, designers and laypeople alike have discovered the joys of colored grout. If you’re not quite ready for vivacious emerald green tiles to burst upon your kitchen, maybe you’re ready for some zesty green grout? You can think out of the box – literally! Subway tile is great, but tiles now come in a variety of shapes and sizes. Herringbone, Moroccan, and mosaic tiles have a lot going for them. Running out of counter space? Magnetic tiles might just be the answer to your prayers. These shiny additions to your kitchen pack a lot of punch, and they work as a magnetic board for your extensive knife collection. Torn between herringbone and subway tile? Love custom mosaics but they’re way out of your budget? You don’t necessarily have to choose. Mix and match tiles to create stunning kitchen designs. A subway tile backsplash with bursts of custom mosaics is an arresting kitchen feature. 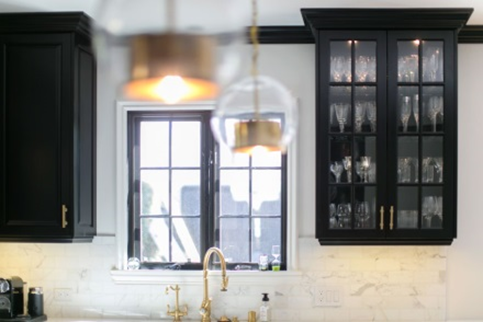 Once you’ve finally got your dream backsplash in place, take a few moments to talk to your interior designer or your local home construction store about how to keep the dream looking fresh. Different materials require different care, and investing even a little time in their upkeep will keep you smiling each time you walk into the kitchen.